Recently, Big Kahuna and De-Nominator had SUPER FUN HAPPY TIME with Emma Clarke from Skate Australia to talk about their partnership with the WFTDA. 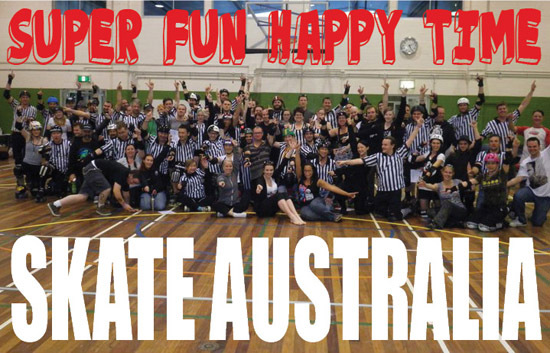 We discuss some of the concerns that a lot of our community have expressed about the partnership and shed some light on a topic that could have a massive impact on the future of Roller Derby in Australia. Is it all bad? Is it all good? Have a listen and let us know what you think. I am not convinced that Skate Australia has any business being involved in Derby. Contacting WFTDA was bypassing local Derby to obtain perceived validity. The argument that we need a 'pathway to the government' was not convincing.